Looking for a great deal on kids clothes. 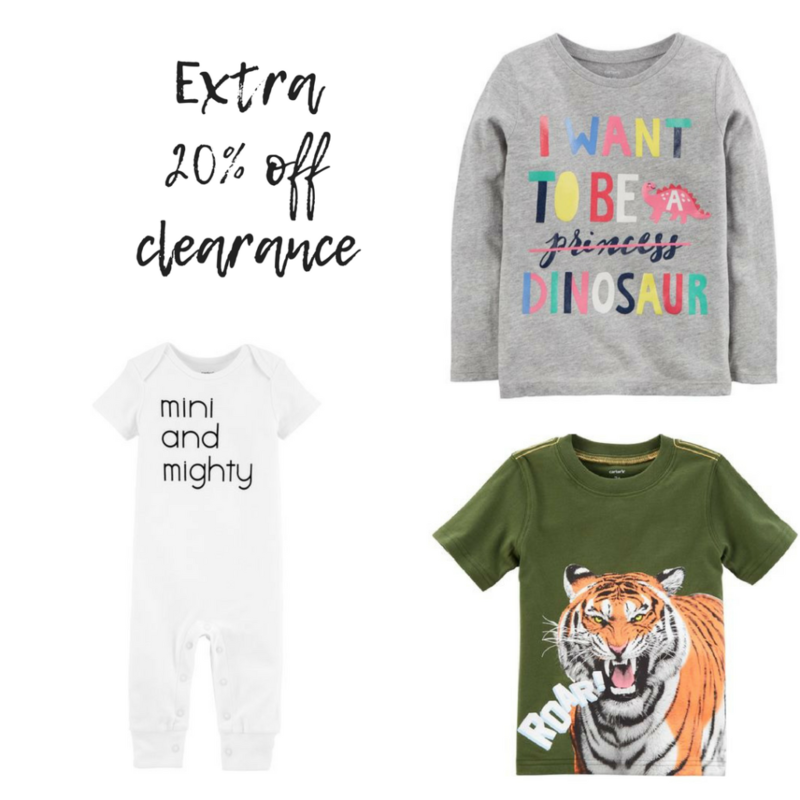 You can get an extra 20% off all clearance items from Carters and OshKosh. The deal is valid in-store and online. You can find lots of fun deals. Shipping is free with a $50+ or you can choose in-store pick up. Offer ends 8/20.